The Cougar Baseball Camp is for both young and older players looking to develop their skills, learn the game and have fun. 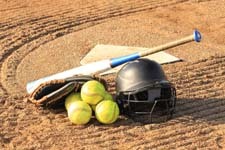 Players will receive individualized instruction and learn the fundamentals of hitting, pitching, fielding and team play. Players will be divided by age groups for drills and games. The camp will be headed up by the CSU Head Coach Greg Appleton and his assistant coaches, Patrick Collins and Sammy Styers. Campers will meet daily at Ragsdale Field on the CSU campus. Campers must bring their own baseball bats and gloves. For more information please contact Greg Appleton at 706.568.2444.